Many children struggle with toileting and it can be a very real challenge for the child and the parents or carers. 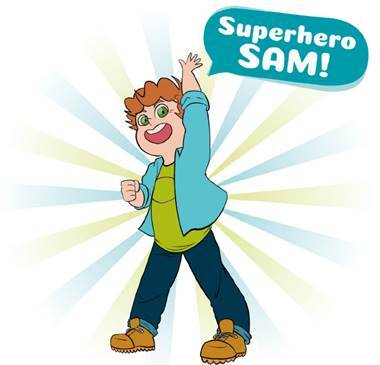 Ontex, a leading personal hygiene brand, have produced a comic featuring SuperHero Sam to help break down the stigma surrounding bedwetting. Sam is nine years old and often wets the bed, but that doesn’t stop him from saving the world! The comic has been released to complement the new iD Comfy Junior range, these Junior pants look and feel just like underwear so kids can be confident day and night. If you or anyone you know would like a free copy of the iD SuperHero Sam comic book, just email salesandmarketing@ontexglobal.com.